Nowadays so many giveaways on facebook. I'm tempted to share the interesting ones I see so everyone can have a chance to win! Today's interesting find, which is easy to join coz all you need to do is LIKE the page and there'll be one lucky winner a week! No Slogan, No Q and A required. 1. Participants must be age 18 and above. 2. Participants must be a Malaysian. 3. Staffs of Est One Sdn Bhd are not eligible. 4. Once selected, full name & I/C no must be provided. 5. Company decision is deemed final. No appeal will be entertained. 6. 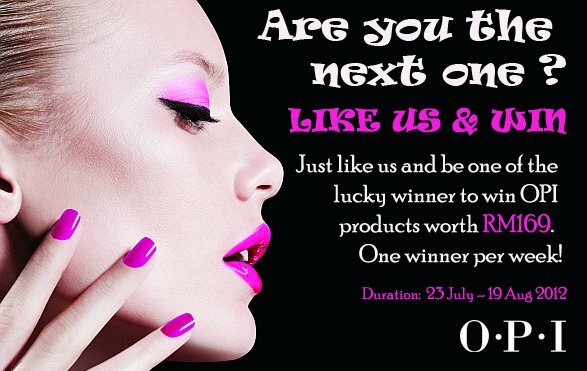 Contest period: 23 July 2012 - 19 Aug 2012. 1>Go to website: http://www.facebook.com/cetakdotmy & click like.